Sayings passed down from generation to generation, sometimes they ring true sometimes they contradict each other. You can find one for every occasion. 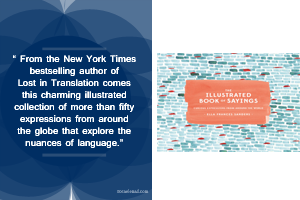 Nevertheless, Sayings are part of our culture, and I enjoyed Ella Frances Sanders insights from her latest book THE ILLUSTRATED BOOK OF SAYINGS. 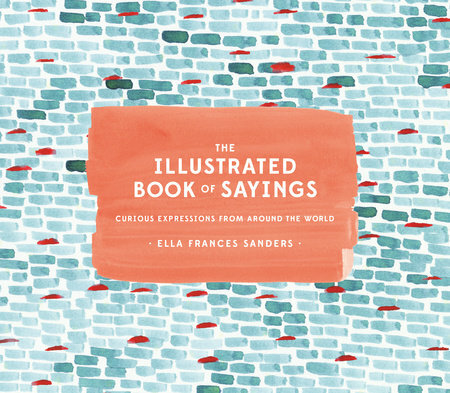 THE ILLUSTRATED BOOK OF SAYINGS reflects on 52 proverbs, expressions and idioms from different cultures. Furthermore, the author gives context, history, the equivalent in different countries is that the case and takes notice that some of them are not true to facts. The sayings’ illustrations become nonsense and amusing at times. Moreover, the whole concept matches Ella Frances Sanders writing style, funny, lighthearted and informative.